Father's Day inspiration for the non foodie. Why not consider a unique bottling of our 10 year old Islay Single Malt Scotch Whisky 42% in our handsome Cubana 700ml bottle? We can even personalize the bottle with a message for you? 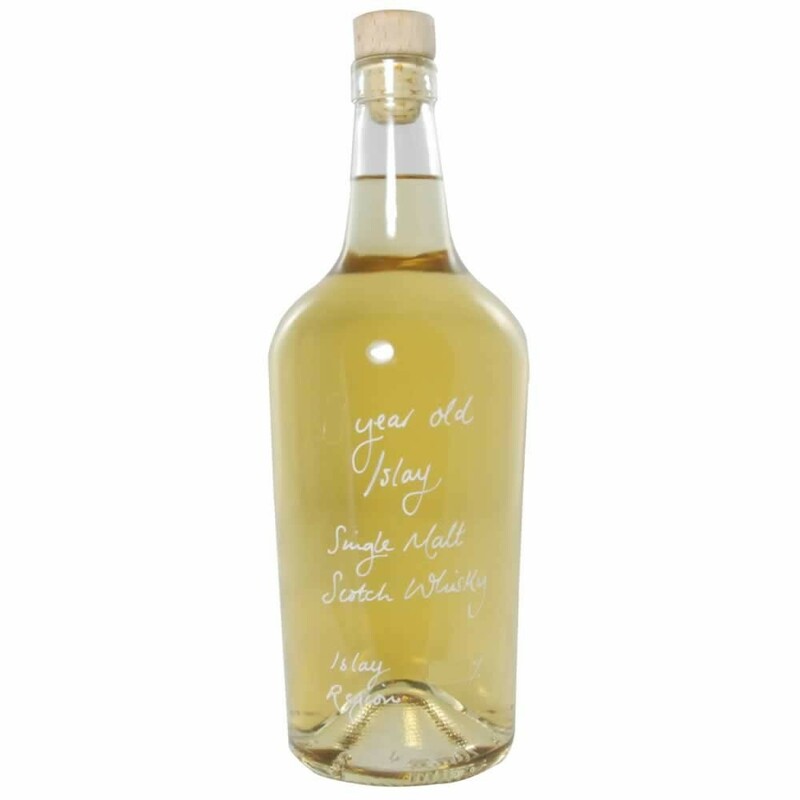 If you are a fan of big smoky Islay Single Malt Scotch Whisky then our unique 10 Year Old Islay Single Malt Scotch Whisky will provide an excellent alternative and certainly hit the spot for most Single Malt Whisky enthusiasts. What is is like to sniff and sip? Our 10 year old Islay Single Malt Scotch Whisky has the pedigree of a delightful traditional Islay Malt. It has a definite peaty note to taste, and of course that wonderful smoky hint at the finish. It is the smoky hint, that can be likened to burnt grass or smoked meats, that gives Caol Ila and many of the other Islay Malts, their distinctive identity. We have bottled this 10 year old deliberately at 42% abv. Due to being unchilfiltered it is slightly cloudy, however, it is surprisingly smooth to drink and lacks for nothing in taste. We have enjoyed stocking Caol Ila Single Islay Malt Scotch Whisky since our opening day in July 2004. Its tremendous popularity has meant that we have continued with it and other Islay Blended Malts ever since. Lately we have been frustrated by the difficulty in sourcing new casks of Islay Malt Whiskies of the high quality we would expect. So it is with huge pleasure that we are once again able to supply this particular 10 year old Islay Single Malt Scotch Whisky to our range of Whiskies for our Islay Malt fans. Islay is the most beautiful Island off Scotland's West coast. It is a place where the wind blows freshly with strong sea air. If you like bucket and spade holidays with a hint of whisky book your trip now! Islay has 8 distilleries at the current count and more will undoubtedly follow soon. Caol lla is the Gaelic name for the Sound of Islay, which separates the island from Jura in one of the most remote and beautiful parts of Scotland's West Coast. The distillery sits on a wild and picturesque cove, near Port Askaig. The barley used here is still malted locally at Port Ellen and pure spring water still rises from limestone in nearby Loch nam Ban, then falls to the sea at Caol Ila in a clear crystal stream, just as it always has. Their offspring is a fine-ageing malt reserved in oak casks for up to eighteen years.